Fresh, hot coffee from a vending machine? 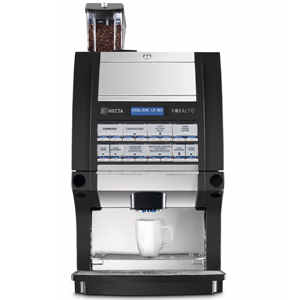 It may sound like a particularly nice dream, but with bean to cup coffee machines that is exactly what you get – and what you can offer to your clients. Krea is advertised as part of Necta’s breakfast range, and it’s certainly true that it offers some great coffee options and blends for those looking for a morning kick. 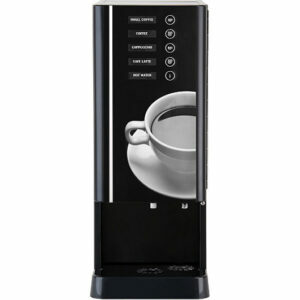 This means that it’s the perfect machine for areas such as a hotel breakfast bar or a cafeteria. 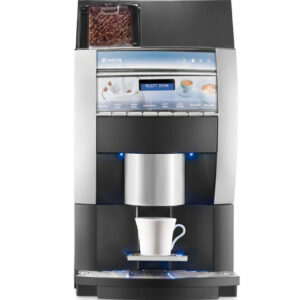 That said, it’s also an excellent choice for just about any business that wants to provide self-service hot drinks to their patrons: from university campuses to gyms and leisure centres, the Krea bean to cup coffee machine offers delicious beverages to please everyone who comes into contact with it. It also looks great in the lobby of your office building, giving clients and employees alike the chance to grab a speciality coffee on their way into meetings – giving the workplace a vibrant yet professional atmosphere. 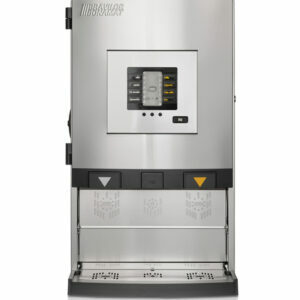 Considering that the option is there to dispense up to 10 different selections, this machine is surprisingly small, with the ability to fit on top of a table or counter, saving valuable space. 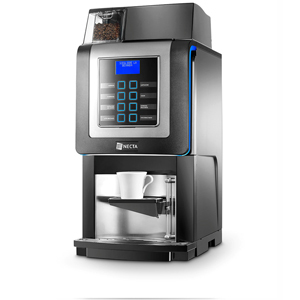 We know that many smaller companies are looking for a more compact bean to cup coffee machine that doesn’t lose too much functionality. If that sounds familiar, then the Krea is probably exactly what you need. With an incredibly simple and classic interface, there are no overly complex procedures for your customers or your staff to work on, just a couple of simple steps to an excellent drink. It also uses a large screen which not only adds clarity but also has the ability to display basic animations. 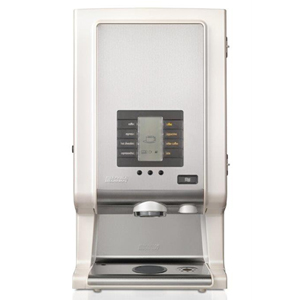 The technology inside the machine is similarly top-end, making use of the patented Z4000 coffee brewer, for a better beverage. 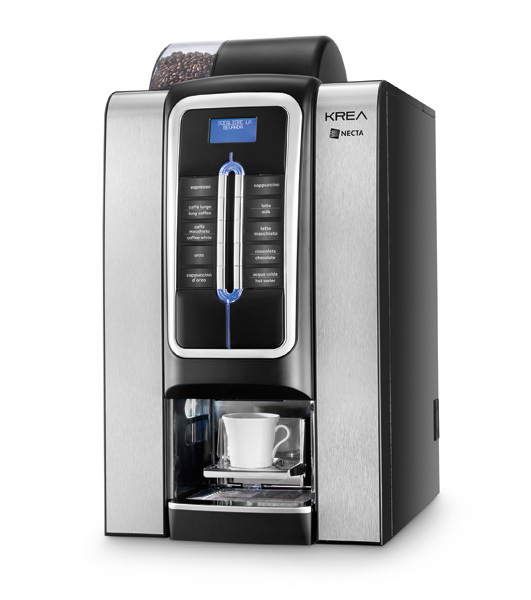 One of the things that we really love about the Krea coffee machine, is the fact that it has been designed so that the coffee beans are on display, allowing everybody to see the fresh ingredients that are being used. This small but notable decision shows just how well the designers and manufacturers understood what customers are looking for when they decide to use a self-serve coffee machine: an experience that feels almost as good as watching a barista prepare your drink in front of you. Elsewhere, the style is perfect for any contemporary interior, with matt brushed aluminium panels complementing the chromium plated framing that is used across the machine. The look isn’t just modern, but spotlessly clean – giving a sense of hygiene and luxury as well as cutting edge technology. This is one of most versatile machines, thanks to its simple but smart design that looks great but fits in just about anywhere. We focus on making sure that all of our customers enjoy using their new vending machines, so installation, servicing and ongoing maintenance can all be provided by the Forward Vendors team. This means that you can be sure that your machine is always up to scratch, and that the quality of the drinks never diminishes, without having to load more tasks on your busy staff.